Get fit and have fun — no matter your age, skill level, or ability. One of the best kept secrets in town is that our Adult Athletics provide a great, budget-friendly way to get fit, relieve stress, and meet others — no matter your age, skill level or ability. You don’t have to be a superstar, just come ready to have fun. Fencing is a great way to give both your body and mind a workout. Using strength, speed, balance, and strategy, this sport has become a love and hobby for many individuals. Volleyball lovers ... here’s your a chance to compete at a recreational level. 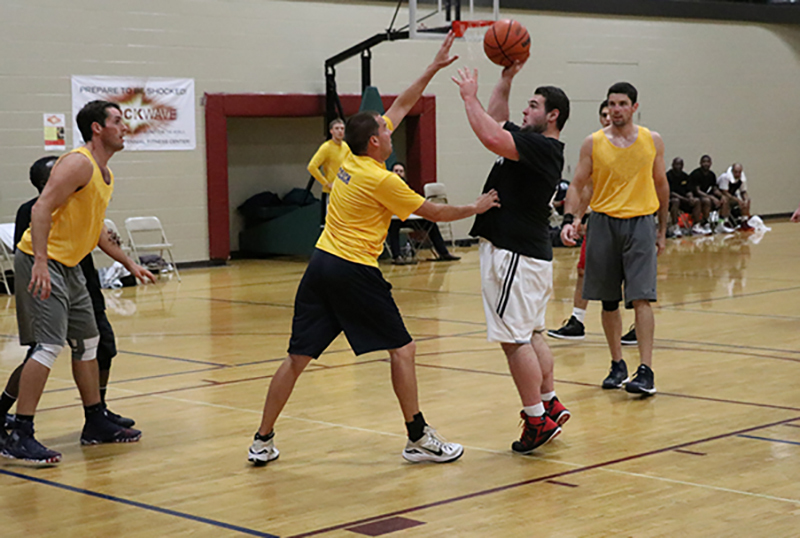 Go for glory by participating competitively and socially in one of our organized sports leagues including basketball, softball, soccer, racquetball, and more. Leagues may change by season.